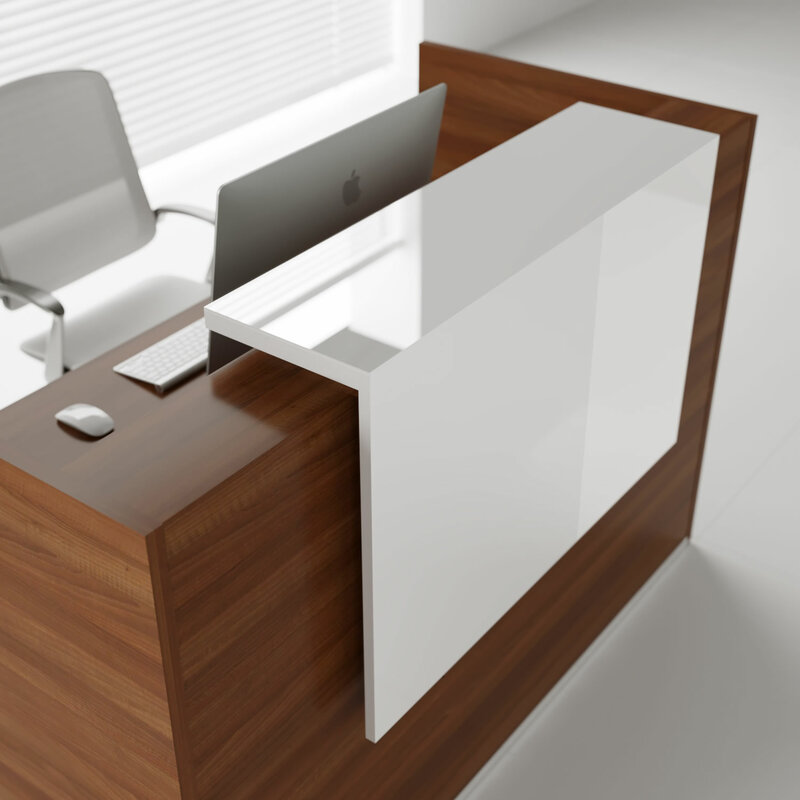 ﻿﻿Reception desk Tera combines high gloss HPL elements with MFC in White, Canadian Oak or Lowland Nut. 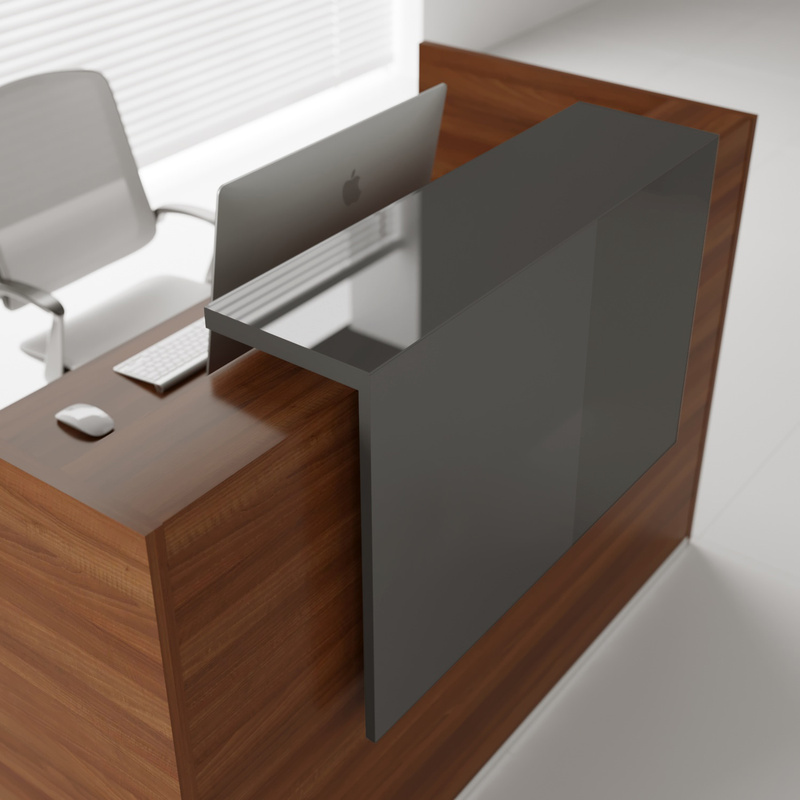 It is a modular solution allowing to create compatible or large reception counters depending on requirements. 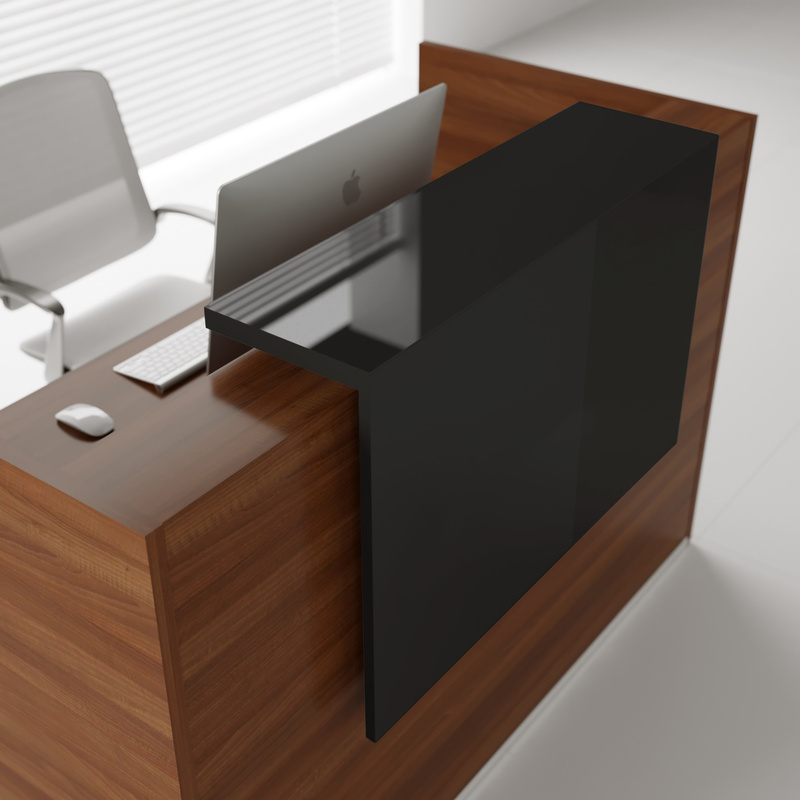 It comes with optional top highlighted with LED lighting. W81" x D34.5" x H45.625"